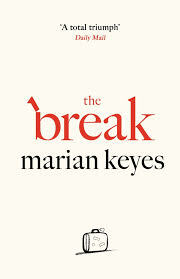 BleachHouseLibrary.ie: Book Review: The Break by Marian Keyes. Welcome to Bleach House Library. Book reviews, giveaways, blog tours and bookish posts. There are no spoilers and all reviews are honest. No posts are sponsored. Can also be found on twitter @margaretbmadden and FB at Bleach House Library. Book Review: The Break by Marian Keyes. Forty-four-year-old Amy is gobsmacked when her husband, Hugh, declares that he wants to take a break from their marriage. He plans to travel through South East Asia and sever all contact for six months. Leaving Amy and three children behind, he heads off with a rucksack, a quick-dry towel and a newly discovered sense of freedom. Amy is devastated but, in true Irish style, she picks herself up and carries on, regardless. With some words of (not your average) wisdom from her daughters, sisters and feisty mother, Amy slowly learns what it is like to be a separated mother and struggles to adapt to her new role, albeit in great vintage clothes. It is twenty two years since Marian Keyes burst onto the fiction scene, with her debut, Watermelon. Twelve worldwide bestselling novels later, she returns with a fresh and zingy new host of characters. Amy is an extremely likable and well-rounded personality; in her prime, yet delightfully immature; attractive, yet insecure; career confident, yet equally happy to be at home. She has raised three very unique children and is a loving aunt to many. Her eldest daughter, Neeve, (who's father is a virtually-absent former footballer) is a make-up vlogger, even managing to rope in her Granny for the odd session. There is her quiet and contemplative niece, Sofie, who has been living with Amy and Hugh since her early childhood and is rarely seen without boyfriend, Jackson. Finally there is Kiara, a dream-child who gives her parents no worries. This houseful of females is awash with ongoing shenanigans and all-round mayhem which builds up momentum for the weekly extended-family meal. Add in Amy's regular commute to London, for her celeb clients requiring media-makeovers, and the story line never dips. "A soul-mate is like one of those seventy-nine-euro flights to New York - a lovely idea but they don't exist." "There are times when your heart is bursting with love for them and there are spells when you tense up at the sound of them entering the room." Flashbacks give the reader a chance to know more about Amy and Hugh, allowing more depth to their relationship. The pacing is great, the language is a balance of the colloquial and generic and all emotions are examined; grief, anger, joy, surprise, despair, excitement (sexual and retail - YES!) and acceptance. Amy's mother is a breath of fresh air and like The Walsh Family novels, the diverse personalities within the family unit are the making of the story. I cannot fault this book at all. I am delighted to see Ms. Keyes back in flying form and spreading the joy to her readers. We are definitely a better nation for her. 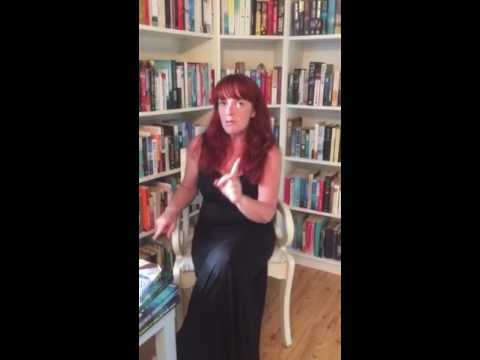 An outstanding look at life for the modern Irish woman. Highly Recommended. "Children's Children" by Jan Carson. Guest review from Orla McAlinden. 'The Pierced Heart' by Lynn Sheperd. Guest review from Lisa Redmond. "The Watching Wood" by Erika McGann - Review from Mia aged 11. Blog Tour Review, Excerpt and Giveaway - "The Light Of Paris by Eleanor Brown. Book Review - 'Ithaca' by Alan McMonagle. I am a Mum of 5 and and a full time foster carer who escapes into the wonderful world of books.... I am a contributor to Writing.ie as well as lovereading.co.uk and novelicous.com and do guest reviews and posts for other blogs. I run a monthly giveaway of my Random Recommendations which are of varying genres. I keep the reviews short and sweet as well as honest and personal. If the book was received from an author or publisher, for review purposes, I will state this in the review. I am also on Twitter https://twitter.com/margaretbmadden so come and follow me. I love when followers leave a comment so feel free!! bleachhouselibrary.ie. Simple theme. Powered by Blogger.